Mark the entrance to Diagon Alley in any room with this replica of The Leaky Cauldron’s sign! 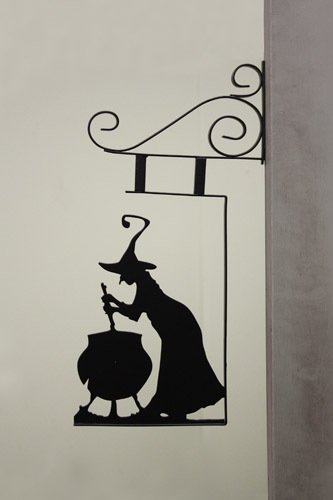 The outline of a witch stirring a cauldron lets you know that you’ve arrived at the wizarding pub from the Harry Potter movies. Metal sign measures almost 14″ tall and has pre-drilled holes to make hanging on a wall (with the included mounting hardware) fast and easy.